Supplements are big in today’s market. Countless patients come in on an array of non-FDA approved vitamin supplements purported to have some key, typically not scientifically proven, health benefits. Whether it’s for sleep or joints or weight loss or staying young there’s a supplement for you. But, facial products are less often thought of as supplements. As it turns out though, while I loathe daily pills for any reasons, I am quite beholden to Vitamin C in my facial products. Topical Vitamin C, or ascirbic acid, has a number of reported benefits related to collagen stimulation and diminishing free radicals. While the facts about Vitamin C’s role in these two biologic pathways are correct, I must admit I haven’t scrutinized the studies linking these to better skin. But I do know that my skin is less dull and the dark patches less pronounced when I use Vitamin C containing products. 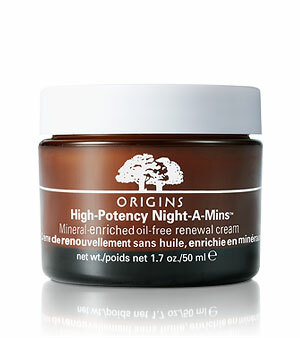 1) Origins High Potency Night-a-Mins: “Put dullness to rest. Wake up radiant & refreshed. Now nature’s famed night cream is newly fortified with a system of time-released resurfacers plus Vitamins C, E & H, minerals & moisture-rich replenishers. While relaxing aromas lull you to sleep, skin sloughs away dry, dead layers. Deletes dullness” according to the manufacturer. I have a serious allergy to sunscreens so for years this was my daily morning moisturizer. I will confess that this was during my surgical training and so I didn’t have a nightly routine. If I made it home it was an event. If I ended up not asleep on the couch in a pool of my own drool it was a miracle. So primping before bedtime was not even on my radar. But I had started residency with no routine at all except for washing my face with Neutrogena anti-acne face wash so coming upon Origins and starting a routine was a big deal for me. I settled on Origins because the staff took the time to learn what I was allergic to and what kind of skin type I had and helped me choose a face wash, a lotion (their name for toner), a moisturizer, and an eye cream. And so for the next decade or so, I used their Checks & Balances, United State, Night-a-Mins, and Eye Doctor. In recent years, I have changed up a little and today I use Origins Brighter by Nature line for my daytime routine (from wash, to eyes, to moisturizer) but I still use the Night-a-Mins at night (still not great at nightly but so much better) because it has an amazing smell, a soothing effect, and does result in a more wide awake look the next day. I don’t think I will ever stop using this stuff. 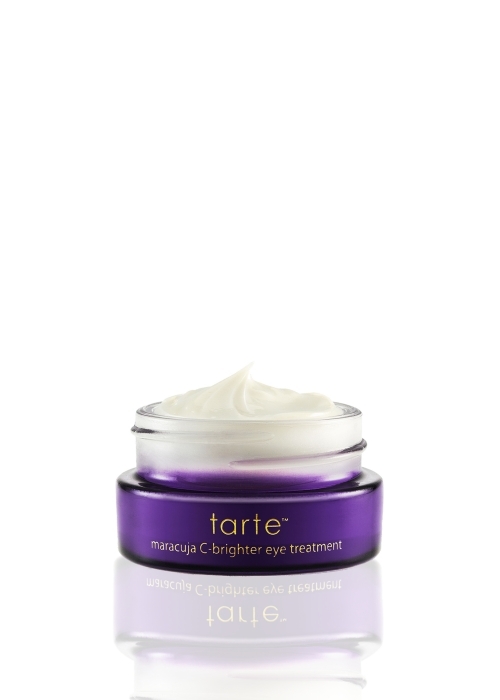 2) Tarte Maracuja C-Brightener Eye Cream: “Refresh, renew and recharge tired eyes with our eye treatment enriched with C-brighter™ technology. By harnessing the power of maracuja fruit, vitamin C and advanced botanicals, this skintuitive™ eye treatment visibly hydrates, firms and brightens the delicate eye area” according to the manufacturer. 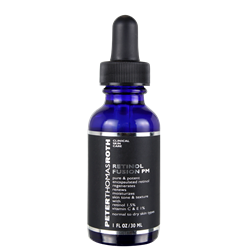 3) Peter Thomas Roth Retinol Fusion PM: “Maximum results. Minimal irritation. Potent concentration of microencapsulated Retinol at 1.5% helps to encourage the skin’s renewal process. Moisturizing formula, infused with Vitamins C & E, suits all skin types. The appearance of tone and texture is enhanced. The look of fine lines and wrinkles is visibly reduced. Skin looks renewed, refreshed, restored. Oil-free. Fragrance-free” according to the manufacturer. Granted this product has a lot of other key ingredients but I came upon it after searching for a Vitamin C serum to supplement the two products above which I have been using for more than a decade and over two years, respectively. My eyes were better so I wanted to have the same betterment for my entire face (especially since adding any make-up, BB, or CC product was out of the question for the reasons noted above). I found the Tarte Maracuja oil to be just too oily and the Mario Badescu Vitamin C serum’s Lavender smell was migraine inducing for me. (I shop for these things at Ulta because I have one within 2 miles of my house and its return policy for these products is one of the best in the industry–if the product [non drug store brands only] doesn’t work for you for whatever reason, you give it back no matter how much you have used). So given that the Retinol Fusion PM had the Vitamin C that I was looking for along with the retinol my derm and plastics friends say I should have started in my mid-20s, I went for it and I really like this product. I confess that I don’t use it often enough as many nights I just collapse into a ball without a night time beauty regimen but when I have gone several nights in a row applying this product before applying the two products above, I have definitely noticed that I look younger and more refreshed. The drops come out almost like water. I take a few in the palm and them apply all over my face. It’s a new skill but I think I have got it down now and I have no desire to return this product. So yes, I love Vitamin C for my face. It is without a doubt my favorite facial supplement. This entry was posted in Beauty, Skin Care and tagged Ascorbic acid, Brighter by Nature, brighter skin, Maracuja eye cream, Mineral Enriched Moisturizer, Night-a-Mins, Origins, Peter Thomas Roth, Retinol, Retinol Correxion Eye Cream, Retinol Fusion PM, RoC, Sephora, Tarte, Ulta, Vitamin C by surgeoninheels. Bookmark the permalink.